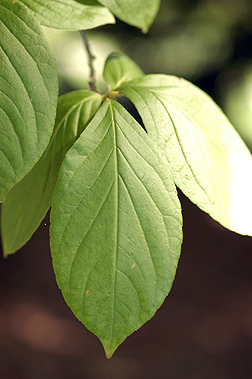 Leaf:Alternate, simple, ovate or elliptical, serrated margin, long pointed, 2 to 4 inches long, dark green above, shiny, paler, hairy below. 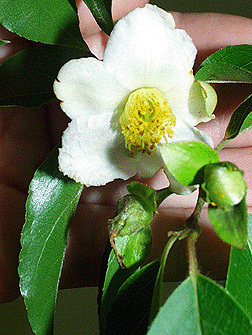 Flower:Very attractive, white, 5 petaled, yellow or reddish anthers (species dependent), 2 to 3 inches across, appearing in early summer. 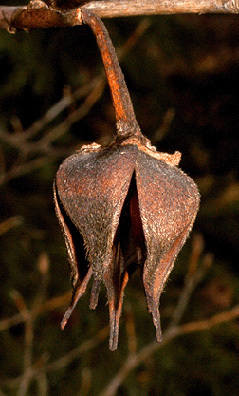 Fruit:Dry, woody capsule, egg-shaped but sharply pointed, 5 parted. 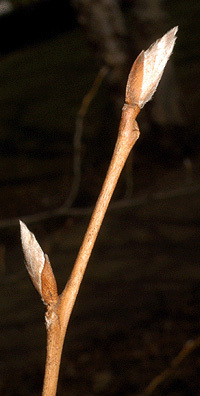 Twig:Slender, light reddish brown, buds flattened, leaf scar with 1 bundle scar. 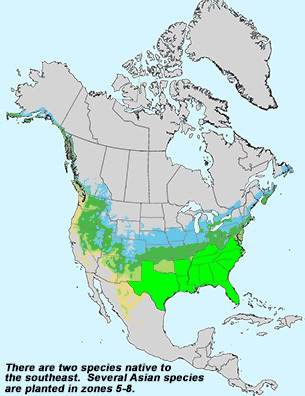 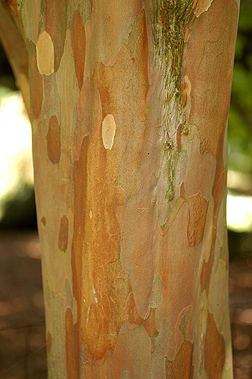 Bark:Most species have a very attractive flaking, patchy bark revealing grays, browns and reds, species ovata has a very plain light brown bark. 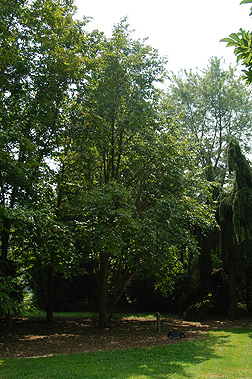 Form:Generally a small, bushy tree, some species may reach 80 feet tall.